Support the important work of Bike Mansfield for only $15 per year. Join us! 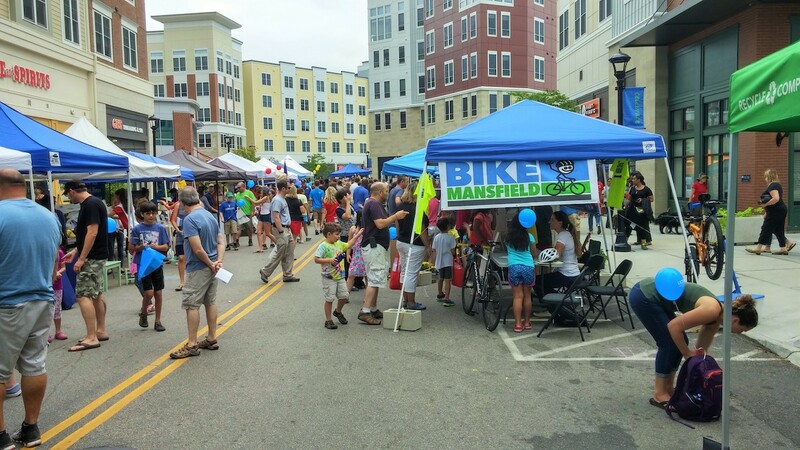 BikeMansfield is a budding community of bicycle enthusiasts dedicated to making Mansfield a "bike friendly" town. That means making it safe for those who already ride and encouraging everyone else to experience the many sustainable benefits of pedal power. The most important way to support a bike friendly Mansfield is by joining our email list and staying informed. Just click on the big blue link in this box. Bike Mansfield meets on the first Thursday of each month at the downtown Storrs Nash-Zimmer Transportation Center. Everyone is welcome. Trace our history through the meeting notes here. + Check out our cool T-Shirts! + Click here for more bike news and information.